Bakor 990-06 Yellow Jacket is a bright yellow open weave glass fabric consisting of glass fibre yarn saturated with synthetic resins. The bright yellow colour helps the applicator determine when the fabric is completely embedded in the coating compound, particularly under poor lighting conditions. The glass fibre in this product will not rot, mildew nor "wick" into the body of the coating material. Bakor 990-06 Yellow Jacket is used as a reinforcing membrane incorporated into many types of coatings where superior strength and toughness are required. Expansion Strips are utilized in the glass block installation to cushion the glass blocks and allow for construction. They are used to cover the jambs and the heads in the rough opening that the glass block is being installed in. The rust resistant stainless steel Panel Reinforcing is used for extra stability or support for your glass block project. Use these pieces embedded between the courses of glass block for added strength in your project. The ProVantage Horizontal Spacer allows you to easily install the Premiere Series (4 In. nominal) glass block. Can be used in combination with the ProVatage Arque, Hedron and Tridron spacers to create walls that make various turns. 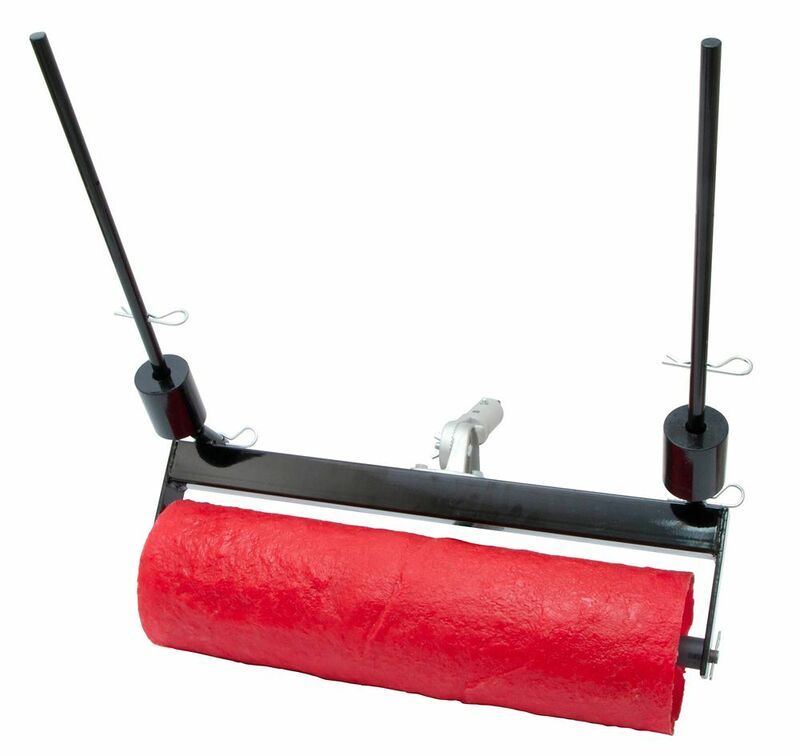 24 Inch Heavy Stone Texture Rock 'N' Roller Marshalltown Rock-N-Roller gives concrete professionals a faster and an equally effective alternative to traditional concrete stamps. It is Ultralight weight with an easy push and pull imprint. From large rollers to border and texture rollers, this decorative concrete system can do it all.